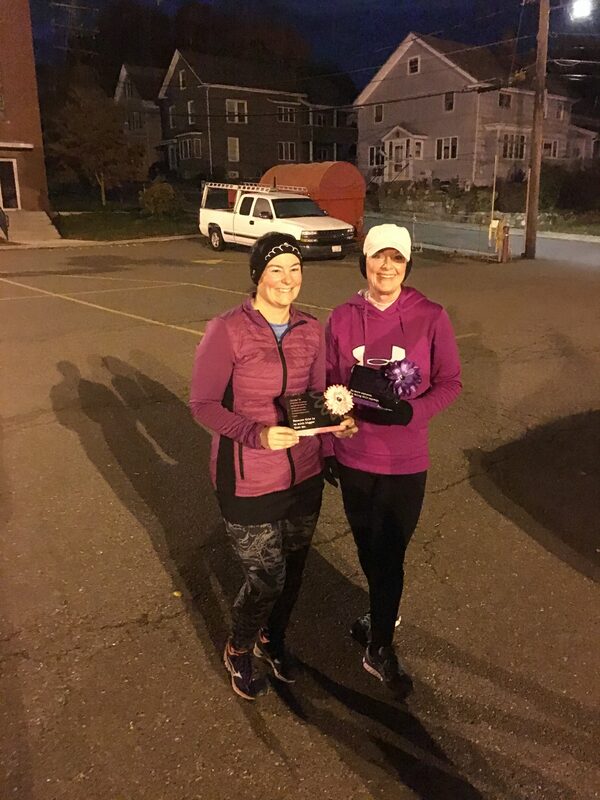 Kelly writes: ‘I’m a proud mom of two girls, who is into fitness and helping others around me achieve their goals of living a healthier lifestyle. I’m a mom of a child with Type 1 diabetes and I love to educate others on healthy living and small changes to make their diabetes more manageable’. Kelly: ‘I have been running and working out since 2011, I have met so many amazing men and women through my journey to get healthy. In 2017 I was asked to teach a class to help members of North shore medical center’s gastric bypass. Forward to 2018 I have been working with this dedicated group for almost a year. Their commitment to a healthy lifestyle is inspirational especially since all of them thought I was crazy upon meeting them, however they all dedicated themselves to the program. Kim one of the members in the class was the most skeptical of the bunch, when I told her she would someday run a ½ marathon she laughed and said not me; all I want is to pass my physical fitness test at work. Slowly she started working towards small goals. She walked the 2017 reindeer run in Beverly then walk/ran the frosty four-miles on New Year’s day, then on and on. When we laced up our sneakers to take on Zooma’s ½ marathon, she was almost a year to the day I met her and she was crushing goals, we had a fun exciting race on the cape enjoying the views and each other, once she completed her first ½ marathon days later she would be facing her final goal… The fitness test. Tuesday came, and I was fortunate enough to be present when Kim took her test, I knew she was more than ready. To pass she needed to run 1.5 miles in under 18 minutes complete at least 12 push-ups in under a minute, complete 30 sit-ups in under a minute, and be able to reach more than 23 inches on the sit and reach. Not only did Kim nail her goal she was encouraging others and coaching them through passing their tests as well. Coach and student had come full circle right before my eyes. Kelly (left), Kim (right) concluding their race. I had been waiting for this day for so long, I could barely contain my excitement for her as she passed the test and I handed her a flower, she had earned her entrance into the fellow flowers, I picked purple for her.